Amy O'Connell is a writer who has published research in scientific journals such as "Infection and Immunity." Her areas of expertise include allergies, conditions in children and celiac disease. She has a Ph.D. in immunology and a medical degree from Thomas Jefferson University in Philadelphia. Gluten intolerance happens when the body cannot tolerate foods that contain gluten protein. If you have symptoms such as diarrhea, weight loss, poor concentration, infertility or low energy it could be due to celiac disease. Celiac disease is an allergic reaction to gluten found in breads, baked goods, cereal, soups and many other products. Celiac disease can start at any age. Talk to your doctor if you think you might have celiac disease. Gluten intolerance is broadly described as a sensitivity to gluten, a protein found in wheat, rye, barley and derivatives of these grains. The term gluten intolerance is sometimes used interchangeably with celiac disease, an immune response to these proteins that causes damage to the intestines. Some people believe that you can also be sensitive to gluten without having intestinal damage, and common medical tests for celiac disease will not detect this type of gluten intolerance. 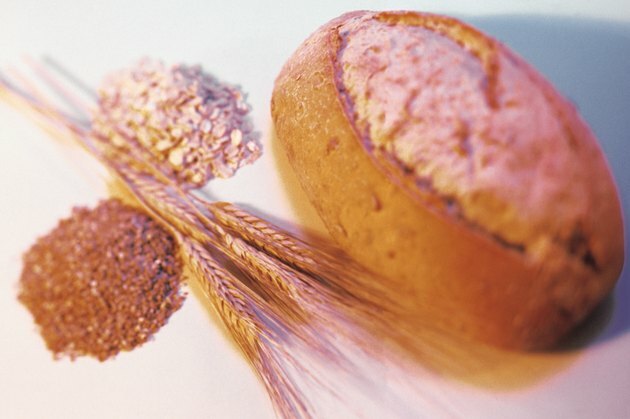 Developing gluten intolerance seems to be due to a combination of genetic and environmental causes. Doctors and researchers have found that certain genes predispose people to developing celiac disease. When these people are exposed to a triggering event, the disease process begins. The trigger can be high stress levels, viral infections, pregnancy and even surgery. Finally, a certain amount of gluten must be present in the diet for intestinal damage to occur. It is possible to develop the symptoms of celiac disease at any point. The disease process can start very early on in infancy, or even in late adulthood. Not only does the age of developing a gluten reaction vary, the time it takes for a person to experience symptoms from the reaction can vary as well. Some people have symptoms right when the body first reacts to gluten, others are asymptomatic for years despite ongoing damage to their intestines. If you think you may have developed and intolerance to gluten, discuss it with your doctor before eliminating it from your diet. The tests the doctor will do are not accurate if you are not eating gluten. A blood test is usually the first step to check for the immune response to gluten that happens in celiac disease. If the blood test is positive, the doctor will likely want to take a biopsy of your intestine by passing a camera through your stomach while you are under anesthesia. Negative tests in someone who has been eating gluten means you do not have celiac disease. Can Gluten Cause Bleeding in the Intestines?